Everyone's favourite link up is today - Christmas Decorations!! Linking up with Andrea for some festive fun. Welcome to our home, come on in! This year I went with white and metallic on the mantle. I like to mix it up so the pictures don't look the same every year. Reading nook in the corner with a little bird friend. Our new ornament from Plant World this year, a little squirrel. Simple piano. The nativity figures are all gathered around the Baby Jesus already, set up by E.
I got this felt garland last year at E's school holiday fair and added the bells garland this year. After we finished decorating I found the red and black lanterns so I put them in the windowsills where the candlelight can be seen from the street. 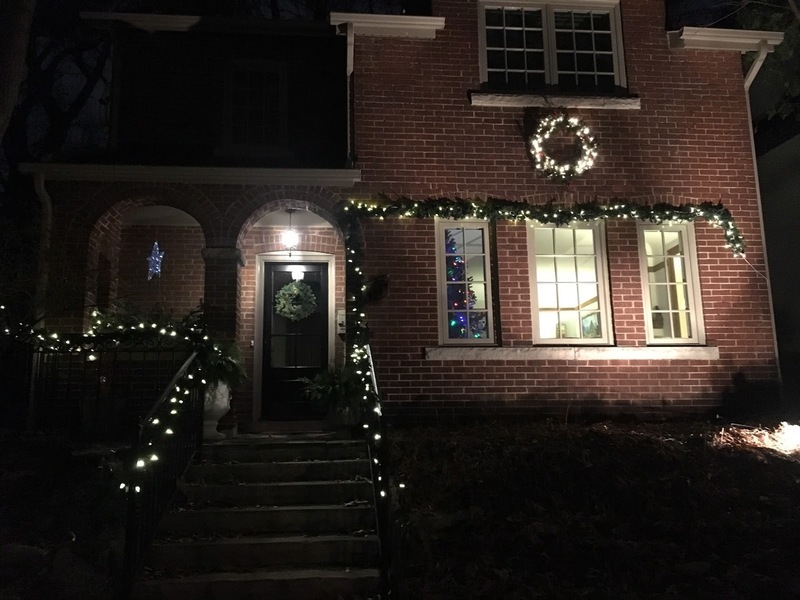 A few of our other decorations are the same last year - animal garland up the stairs, stars hanging from the dining room chandelier, and snowflakes hanging in the kitchen window. Now, to browse through the other posts in this link up, I love seeing what everyone does for decorations! How fun! Awesome to find all these little treasures in our adventures!